Hey everyone! 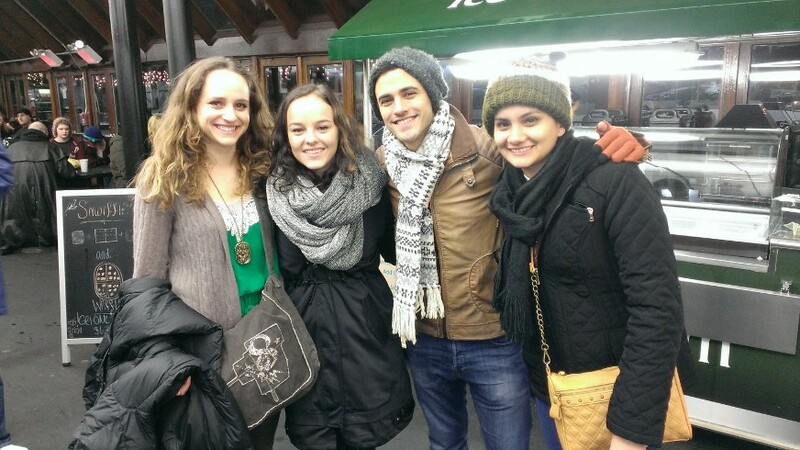 Yesterday I had a blast ice skating with some friends at Central Park. Not that I’m a frequent ice skater, but I do it at least once a year. Yesterday, I guess, was my annual ice skating night! 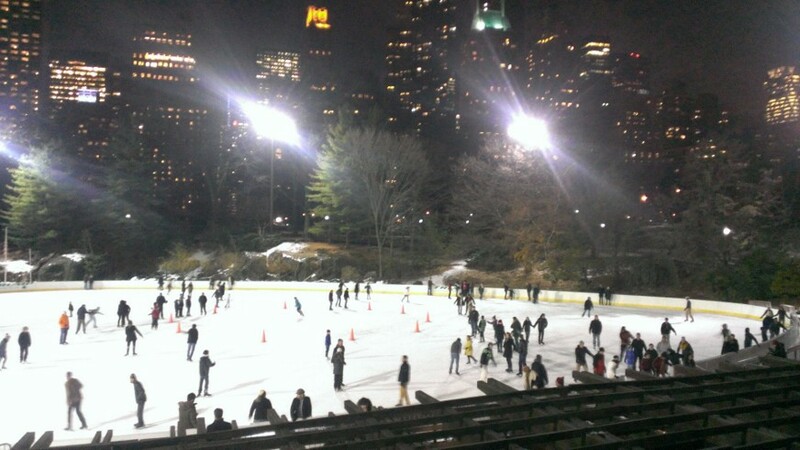 I have tried several ice rinks in the city, and even though I really like Citi Pond at Bryant Park, I think Wollman Rink is the most convenient. It is located at the south part of Central Park, so it’s very easy to reach from 59th Street and 5th Avenue. It has also a decent size, unlike the ones at Bryant Park or Rockefeller Center. Plus they usually have upbeat music playing which makes it more fun! I haven’t heard tedious christmas carols here! For a Friday night, it ended up being $26 each since we didn’t have our own ice skates (believe it or not, some people do own ice skates in NY!) Another thing to keep in mind is the locker. If you bring your own lock, you won’t need to pay, but if you don’t then you will need to rent a lock for $11 and get $6 back when you return it. There is no time limit, and you can skate for as long as you want. However, I think there’s a point (maybe after 45 minutes or 1 hour) when your feet can’t take it any longer and it’s just painful! Keep in mind that it’s, obviously, very cold so you should put on as many layers as you can and make sure your hands and ears are covered! All in all, it’s a great plan for winter. I would recommend going around December, before it’s way too cold to be outside! I really enjoy ice skating, even if I don’t get to do it that often. Maybe it is so because it is not a common thing to do where I come from, and the only ice rinks you can find are indoors, which is not as nice. 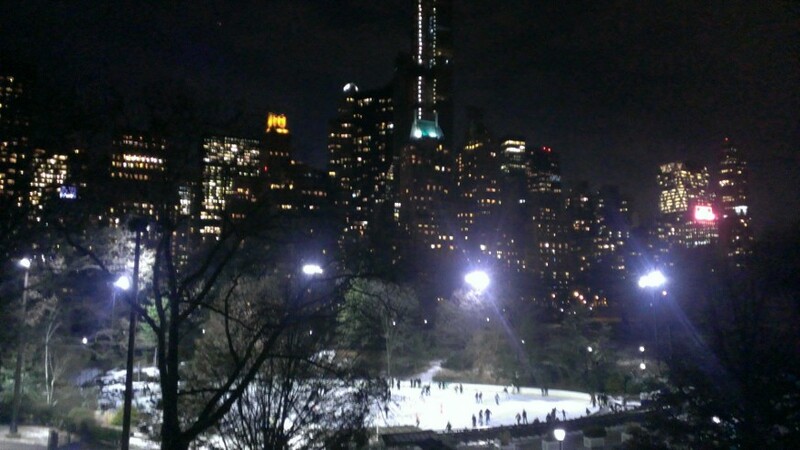 It is great to be at Central Park with the city lights in the background! Thanks for reading and see you soon!